These are Great Low dust pads. 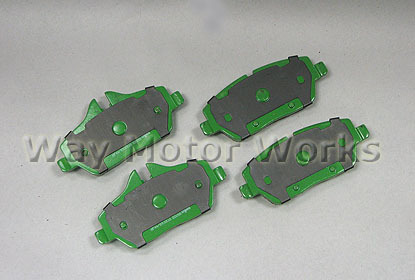 That are also good for light AutoX or Track use. These will ONLY fit R55,R56,R57 NON Turbo MINI Cooper, Cooper Clubman, Cooper Convertible. These pads also have the slots in them for the OEM brake pad sensors to be used.